B&B RV, Inc. was established in 1999 as a rental only facility. We have steadily grown over the years increasing the number of units in our fleet to meet demand. B&B RV, Inc. has grown to be the largest single-location rental dealer in the nation. We have always sold off our fleet after one or two seasons to replace retired units with new coaches. This allows us to have high-quality, late-model units to offer for sale at low prices that other dealers typically can’t achieve. This allows us to keep our rental fleet newer and more upgraded. Over the last few years, we have added some of the highest-quality, most-unique camper trailers in the world. We have become the leading dealer in off-road, off-grid camper trailers. Our trailers, campers and teardrops represent many of the worlds most innovative manufacturers. We have numerous lightweight camper trailer options. If you are looking for a quality camper that will bring a lifetime of memories, you will want to look through our selection. We want to show off your adventures from around the world! 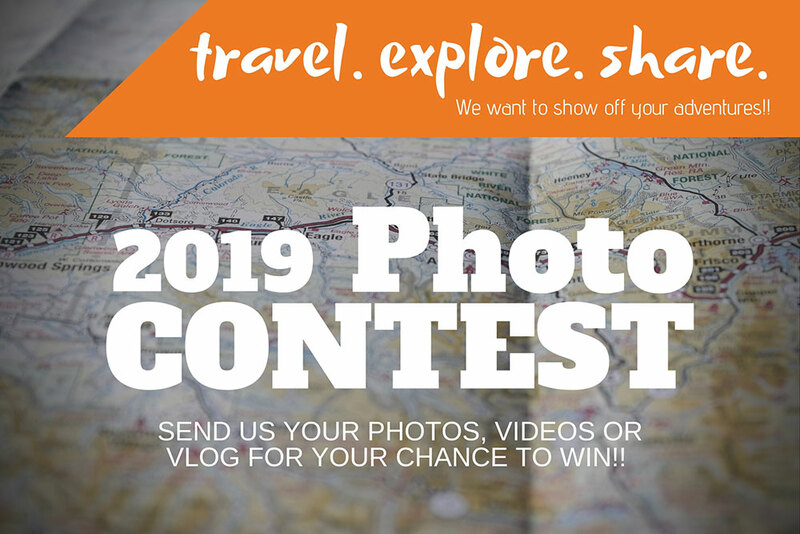 Submit photographs and/or a 1 to 3-minute video of your family and friends out on your RV adventure for a chance to win a $500 Amazon gift card! 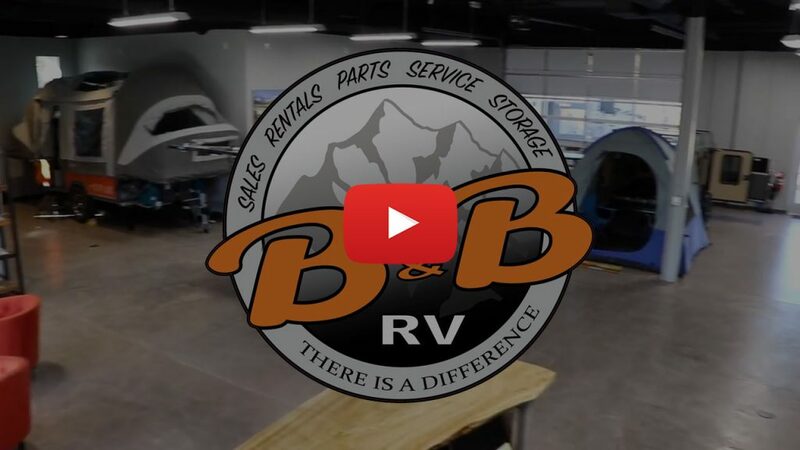 B&B RV, Inc. is a full-service RV Dealer in Denver, Colorado. Perched on the cliff above Sand Creek directly across the interstate from Bass Pro, we are easily reached by taking the Central Park Blvd. exit or Quebec St. exit off Interstate 70. With a population of around 700,000 Denver, Colorado was named the best city to live in the US in 2016. 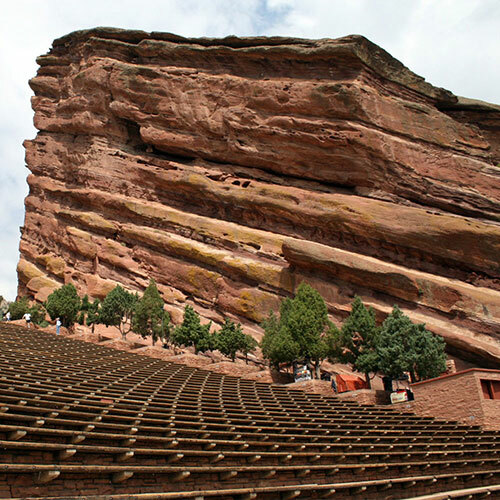 Denver has also been nicknamed ‘The Mile High City’ because of its elevation being 5,280 feet above sea level. We are proud to serve customers in all the Colorado major cities including Denver, Broomfield, Boulder, Aurora, and other surrounding areas with top quality RV and trailer sales and rentals. Our service shop has an orange stripe at the one-mile high mark. Renting a quality motorhome in Denver can be a challenge. The corporate rental providers typically don’t upgrade their units and may make you drive their billboard. Here at B&B RV, Inc., we don’t force you to drive a billboard. The peer-to-peer rental companies have no control over the RV or the safety or maintenance of the RV. Our rental fleet consists of the latest-model, most-upgraded units with additional options included to help meet your specific needs. We own and maintain our entire fleet in our professional service facility to provide the best, safest RV for a great and memorable trip. We provide newer, quality, upgraded RV Rentals also referred to as Motorhome Rentals. Many customers prefer our rental units over our competitors because of our many upgrades such as the pillow top mattress and free hospitality package included in our units. Our sales lineup offers a diverse array of the best campers and trailers from around the globe. Some of our RVs and Campers include Class A RVs, Class C RVs, diesel Mercedes RVs, teardrop style campers, aluminum campers, NASA inspired campers, customizable camper trailers, true off-road tent campers, lightweight campers and self-sustainable micro homes. 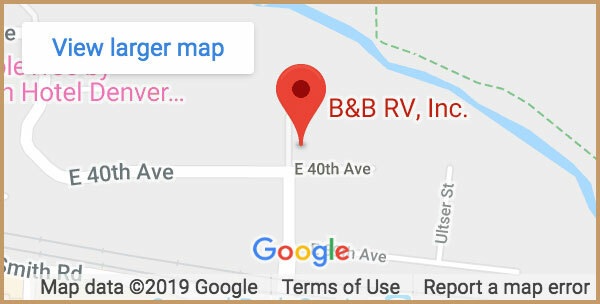 With brands not carried by the large dealerships like Camping World, Lazydays, RV Four Seasons, Windish RV, Ketelsen Campers, Trailer Source, Trailer World and Century RV, you can be sure that your visit to B&B RV, Inc. will be unlike your previous RV Dealer experiences. Our service department provides our customers with a state-of-the-art facility and decades of experience. We do not stock a large number of parts, but rather have more common parts needed in stock. We can get most parts in one or two days from the warehouse. We have a storage facility with different rules and access to provide a more secure storage than most other storage facilities. We are a unique dealer with more unique products. 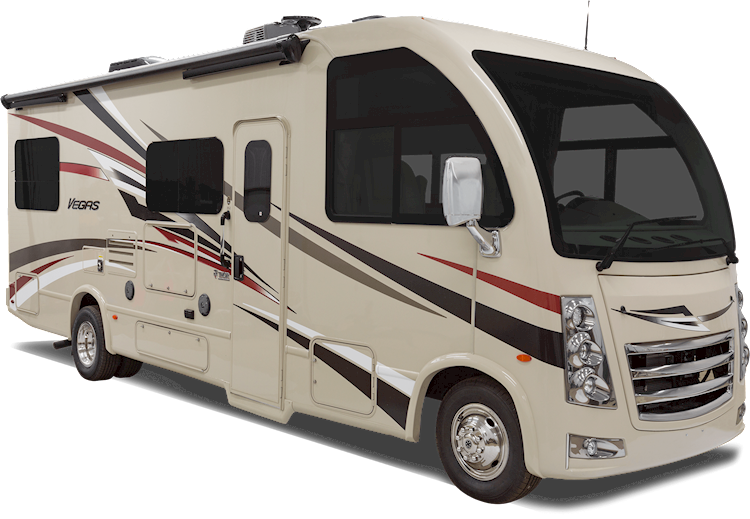 Our large service center and specialized equipment allows us to service or repair most any RV, camper, fleet vehicle or auto. We are here to earn your business and that of your friends and family. Let us know what your service needs are at [email protected]. Our storage facility is now open. We offer safe, secure storage at our conveniently located RV dealership in Denver just off Interstate 70 at either Central Park Blvd or Quebec Street. You can store RV’s, campers, boats, trailers, cars, motorcycles and likely anything other toy you might wish to store. If you have any questions or would like to set an appointment to come and see our facility, email us at [email protected]. We stock many common parts at our dealership here in Denver. However, if we don’t have what you are looking for in stock, we can typically get it in one or two days through one of the many warehouses from which we purchase. Parts can often be shipped directly to you.